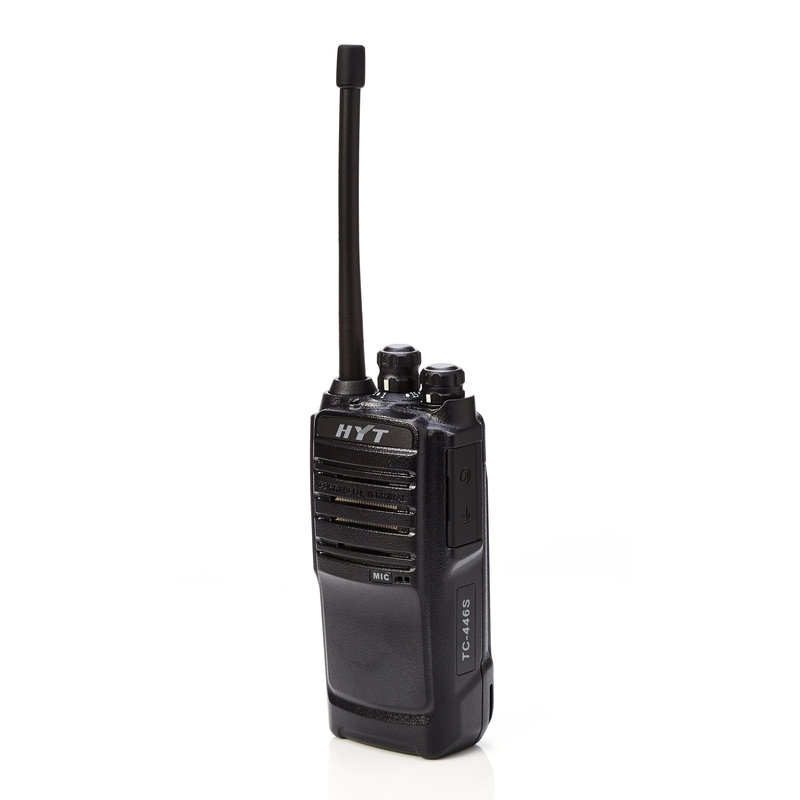 The licence-free HYT TC-446S handheld radio combines analogue technology with a user-friendly, lightweight design. This robust two-way radio is ideally suited for use in commercial environments such as facility management, leisure operations, production facilities or education institutes. The TC-446S is a PMR446 radio and can therefore be used straight out of the box without the need to acquire a radio licence. shift, whilst the optional high capacity battery can last up to 24 hours from a single charge, on a duty cycle of 5-5-90. The programmable energy-saving function activates itself if the two-way radio has not been used for 10 seconds. 38 di erent CTCSS and 61 di erent CDCSS sub-audio tones deliver a quick and user-friendly direct call, group call and remote control. The TC-446S features a time-out timer to avoid inadvertent continuous operation.